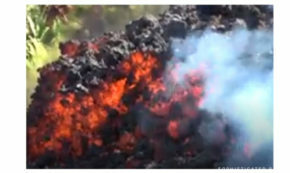 A man's leg has been shattered by heavy lava spatter and a stream of lava from Kilauea volcano has crossed part of a key Hawaii highway. 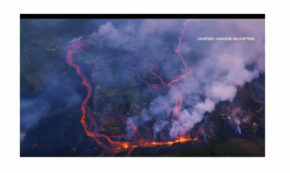 A man’s leg has been shattered by heavy lava spatter and a stream of lava from Kilauea volcano has crossed part of a key Hawaii highway. 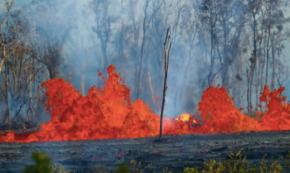 This time-lapse shows the slow, but unstoppable power of the lava. Was it Irresponsible to Take a Vacation to Hawaii? In this episode of the Starve the Doubts podcast, Darrell Darnell and Jared Easley ask whether a family should take a vacation when the new business is not doing well. When a friend admits to suicidal thoughts Keola uses the story of his own failed suicide attempts to save his friend’s life. He thought gender differences were simple to explain but talking to his five year old helped him realize that’s far from the truth. There is a language in the beverage and the men we share it with. Could you fall in love with someone with a history of depression and a suicidal past? This man’s wife did. Meditating daily as part of his morning routine, Jiro is pairing his passion for adventure with the historically proven benefits of mindfulness. A new father’s cry for help inspires Keola to write a letter to all the fathers who struggle with a crying baby. Are You Killing Your Child’s Childhood? During hard financial times Keola wonders if his children are losing their childhood.